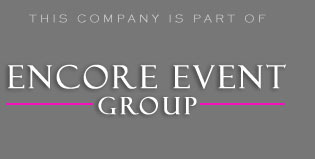 Encore Party DJs donated their lighting design, entertainment, and photo booth services for the Wounded Warrior Grand Rapids Gala. For those of you that don’t know, the wounded warrior project is a non-profit organization provides programs and services to severely injured service members during the time between active duty and civilians. Jennifer of Bella Joy Wedding Planning was the mastermind behind this event. We get the opportunity to work with her team at a handful of receptions throughout the year. Jennifer refers our company to a lot of her clients. This comes as big compliment to us. When vendors refer others it means that you also get their stamp of approval. Since we’ve worked with her so many times, she knows what to expect with our customer planning and event services. Grand Rapids is a little bit of a drive for us, since our office is located 3 hours away in Detroit. As long as we have a hotel room for the night, it is not a problem. This is required for any event over 2 hours away from our studio. We showed up to the venue which was the Howard Johnson Plaza Hotel. The banquet room was located towards the front of the building, so we began setting up our DJ, photo booth, and lighting package. The color photo booth fit perfectly in the hallway where guests entered. We had to put it there since we were limited on space. We underestimated how small the room was. We actually brought out more equipment than necessary. The sound system was very large. It had a crisp clean sound, that filled the room nicely. The event started out with a silent auction, awards, shortly followed by the meal. Since we used event uplighting, we kept it a static red white and blue for the first couple of hours. It gave a patriotic vibe in the space. Once the meal was over it was time to get the gala started. Our DJs worked with the band during their breaks. It was a country band that covered popular songs you might hear on the radio. We were working with the band throughout the night, but once they were done, we got their dance floor packed. This was a great event, for an even better cause. If you want to find out what we charge for Michigan DJ pricing, click the link. You can also receive extra info on combined packages by clicking the image below.